The Virginia Graeme Baker Safety Act was passed by Congress in December 2007, taking effect December 19, 2008, under the oversight of the CPSC as outlined in Section 1404. The primary goal of this law is to prevent swimmer entrapment in swimming pools and spas caused by the suction force of water being pumped through the main bottom drain to the filter. For public use pools and spas, Section 1404 - Federal Swimming Pool and Spa Drain Cover Standard - spells out the requirements of the new law. Frequently more than just a grate issue, replacing the grate with an approved anti-entrapment design may be just one part of the process. Compliance with the act for public use pools and spas also frequently requires modification of the main drain(s). There is no single, one-size -fits-all solution. Each pool or spa must be individually evaluated to determine the appropriate modifications to bring the pool into compliance. Contact Chester Pool Systems for a facility audit to evaluate and determine what modifications your pool or spa will require. 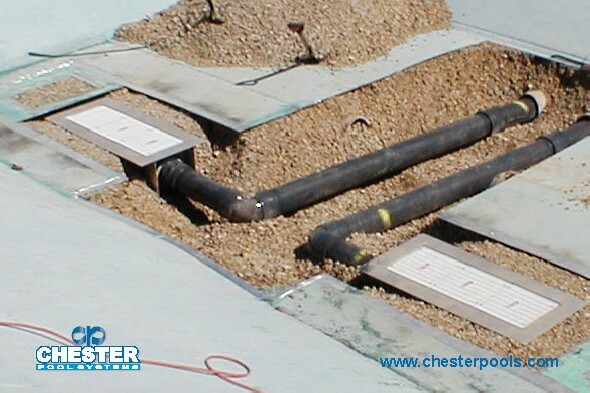 Working with your local health and safety officials, Chester will design and implement a solution for your pool. Call (800) 248-5486 to speak with a knowledgeable Chester representative about bringing your pool into compliance with the Virginia Graeme Baker Safety Act.